10.x cycle is defined by having an improved usability for on-boarding new users and administrators: from protection against refactoring operations, to editing inline macro content, to more auto-suggests, to a faster user interface. We managed to have over 750 issues closed: 415 bugs, 160 improvements, 31 new features and more! In the beginning of the cycle we've refreshed our color theme while keeping our professional and clean look & feel. Our community voted for blue as our main color, replacing the black color we had in the past. We made sure the save buttons are always visible when editing the content of the page. We've also simplified the available options and naming so that the editing process becomes more natural. We've added a new asynchronous rendering framework that assures that panels, menus, wiki UI extensions and wiki macros are cached and thus load much faster. This allows to have the page content rendered much faster than before giving a nice feeling of increased performance and snappiness. The Navigation Panel is now configurable and we've removed the XWiki-specific pages in order to provide an uncluttered view. You can now drag pages from the navigation tree to exclude or include them, while making sure the navigation is focused on users content pages. Also the Menus are now integrated inside the Administration. In order to prevent accidental modifications of extensions pages and classes, pages that belong to installed extensions are now protected for the majority of refactoring operations: edit, rename, move, delete. Users are forbidden or warned that their actions will have consequences. This assures to have fewer unnecessary errors and to inform users about the nature of existing pages. We support inline editing of the content for some macros (like box, info, warning, error and figure macros). The user can edit directly in the context of the editor, instead of going to the dedicated macro modal. You can now create links to existing wiki pages and attachments directly from the editing area using the link auto-complete feature. 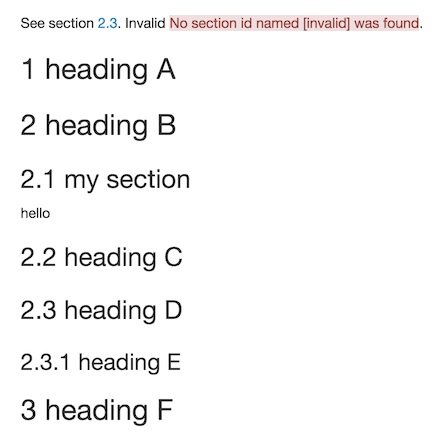 Just type [ (open square bracket) followed by at least 2 characters and you will get link suggestions based on the typed text. When inserting a macro, the macro content text area is prefilled with the text selected within the editing area. Several inputs related to selecting pages references now support auto-suggestion, making it much simpler to use and less error prone (such as not having to know if the reference should end with WebHome). You can find these inputs in Administration, when using the standard classes or you can use it when creating your own applications. We've revamped several places to use the new compact users displayer. We display the user / group avatar followed by the user / group name, while suggestions are retrieved from both the current wiki and the main wiki. We've improved the Groups section in Administration to display the user type and scope. Also we are finally displaying the user membership in the profile. We've continued the work on Nofications, by providing loads and loads of improvements and bugfixes. Notifications were the highlight on our 9.x cycle, but they made a come back also this year. We've improved our filtering mechanism and default values, added new macros, added auto notifications on changes, etc. A very important aspect was making it more scalable for handling large volumes. The Notifications Application is now the central feature in XWiki for notifications, finally replacing the Watchlist and the Activity Stream features. This is commonly referred to as sloppy phrase matching and allows for more "Googleish" query strings. The allows for partial multi-term matching so that searching for long phrases won’t “hide” documents with a subset of shorter multi-term matches. Filesystem store is now the default location for attachments and deleted documents. Also we've added support for case insensitive filesystems. On top of that, we support larger attachments by default. Until now the default limit for attachments was set at 32MB. It's now been increased to 100GB. 2018 was a good year for extensions, with over 40 new extensions released and plenty of releases for the existing extensions. We want to thank all our contributors that spread the love for open source and invest in new ways of using and extending XWiki. Currently CAPTCHAs are used by default in the Registration and Comments areas. 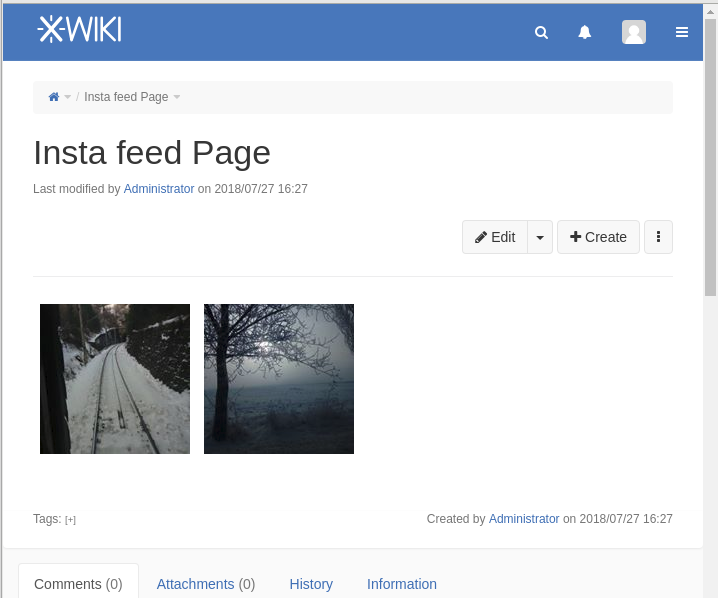 A new CAPTCHA application was been implemented and now you can extend and change the implementation you use across the wiki from the Administration. You can install the popular Google reCAPTCHA integration or use the default JCaptcha that provides image, sound and text CAPTCHA formats. You can now use LaTeX syntax to write content inside XWiki. You can use LaTeX to add formulas, table of content, containers, footnotes, etc. 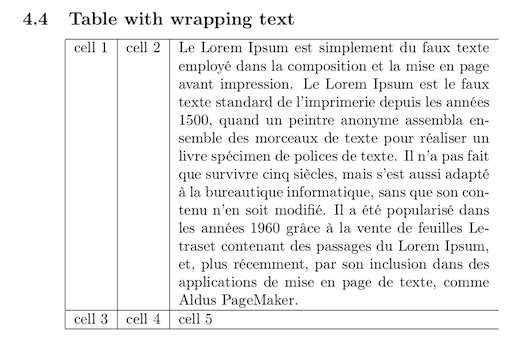 Also if the existing PDF export is not good enough for your needs, consider using the LaTeX exporter. XWiki's ecosystem continues to grow and this year we've also seen an increase in the the number of professional extensions that come with included support. XWiki SAS Store currently contains over 15 extensions. XWiki's Extension Manager is connected to the XWiki SAS Store (thanks to the XWiki SAS being a top sponsoring company) and these extensions can easily be installed from your instances. You can read more about paying extensions. There are many more changes and improvements, so make sure you read the full 10.x Cycle Summary and the individual release notes. You can also compare this summary with what happened in the 9.x Cycle. Thank you to all contributors and committers who work and improve XWiki each year.